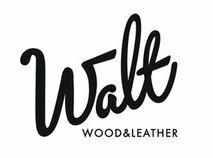 Walt is the brand of very special wallets and passport holders. What makes Walt so unique, is the combination of genuine leather or nubuck leather with extremely thin wood, and creates a very luxurious look. The passport holder is equipped with RFID.